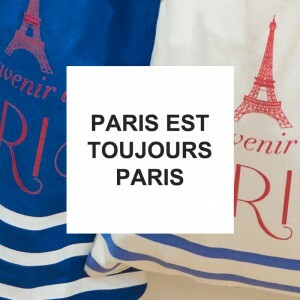 'Paris est toujours Paris', the name of the souvenir shop in Paris, means 'Paris is always Paris'. It's located in one of the most famous passages in Paris, Passage Jourffroy, which is very close to the city center. You can simply walk around near or in the passage, and also enjoy a souvenir shopping. When you look for souvenirs at souvenir shops in Paris, sometimes, you might feel disappointed by its quality. At Paris est toujours Paris, they even have Laulhère, a luxurious brand of berets, and a French luxury tableware brand Gien, and striped t-shirts of Saint James. Explore various collections of souvernis at Paris est toujours Paris. One of the most famous image of Parisians is people with French berets. Breezy weather like now is the best season to wear berets. Berets of Laulhère are one-size-fits-all which you can easily adjust the size. Walking around Paris with a beret on, you will be photogenic. Saint James' striped t-shirts are perfect for cool breezy weather like now. The design is very simple and classy which allow you to wear it any time. It looks nice matching easily to anyone. 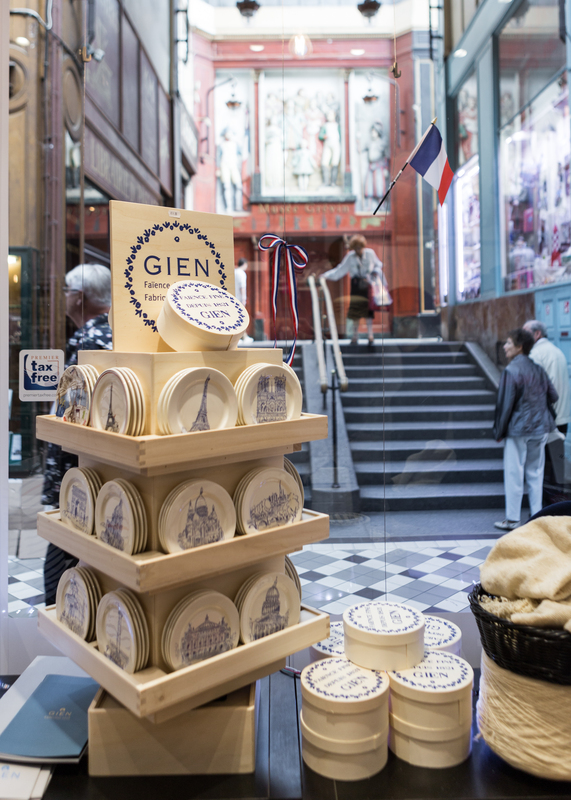 French traditional luxury tableware brand, Gien is now available at PARIS EST TOUJOURS PARIS. Gien has been started since 1821, around 200 yeasrs ago, and it is the biggest pottery manufacturer in Europe. It is famous to be extremely delicate and detailed just like an artwork. At the shop, you can see their collections with monuments of Paris on them and also Gien's new collection which was inspired by artworks of Leonardo Davinci. If you prefer modern design, you can choose monuments collection, and for the ones who prefer antique and elegant design, Leonardo Davinci collection will be more interesting. 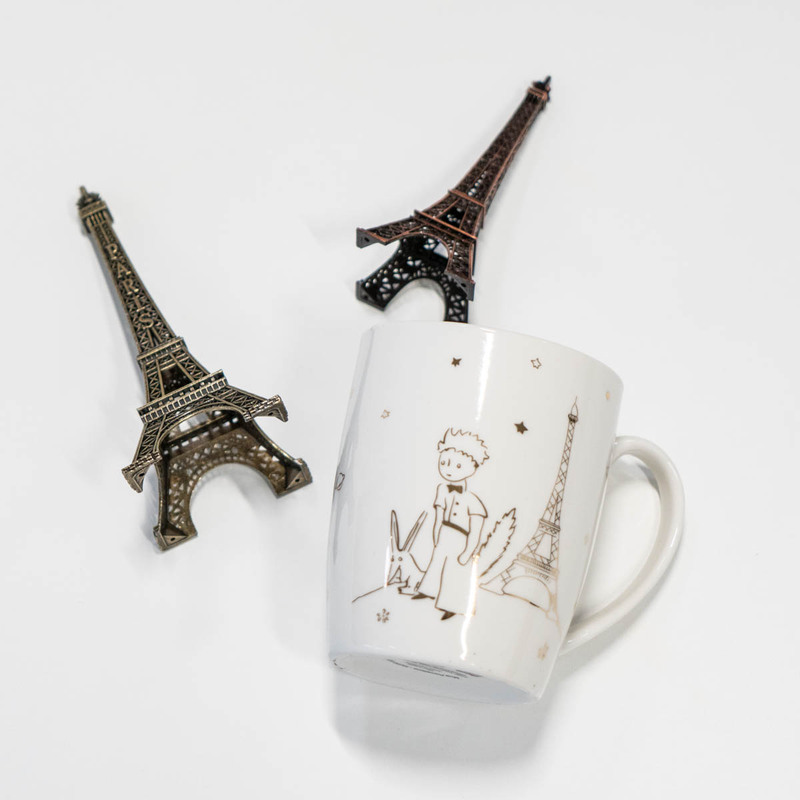 One of the newest souvenirs of Paris est toujours Paris, little prince mugs. There are three different designs of mugs with little prince and eiffel tower on them. Elegant and simple drawings with golden color create more unique and modern design. 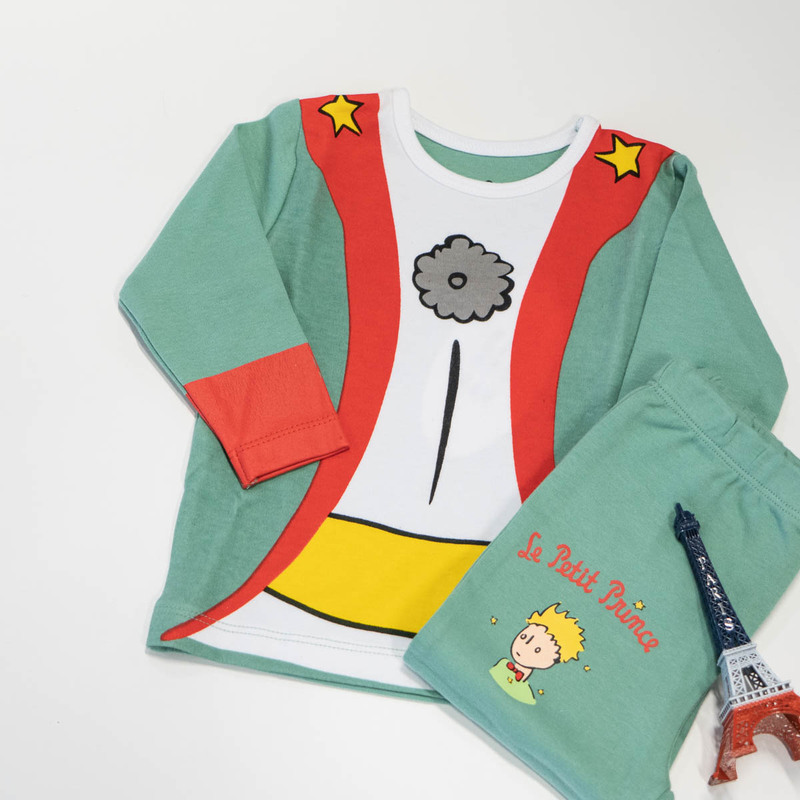 With the drawing of Eiffel tower, it will remind you of your trip in Paris, while little prince gives you cute and cozy impression. 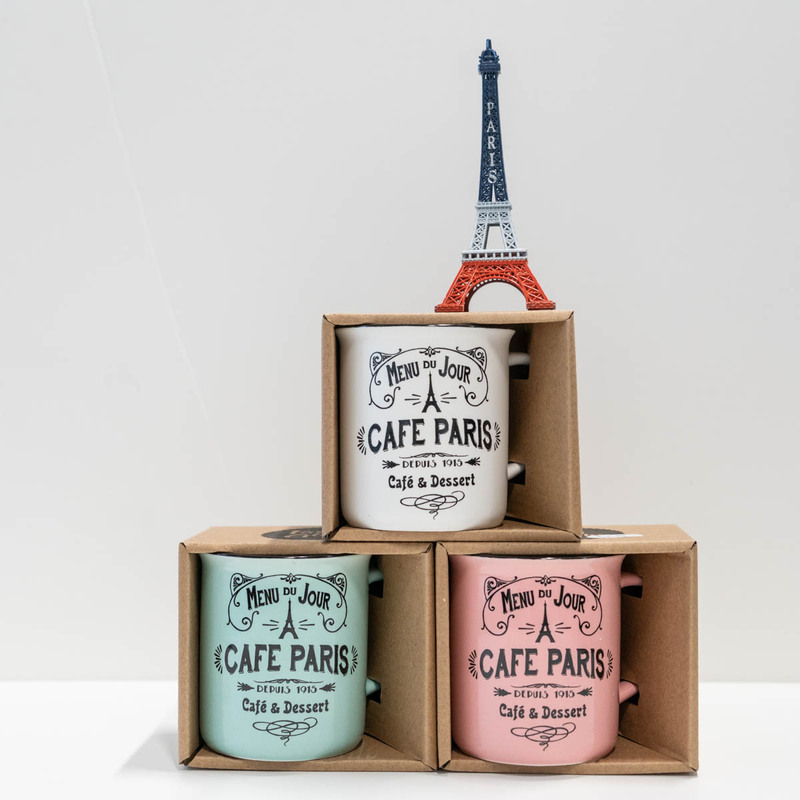 Another newest collection, Paris design cups. The pastel colors of cups are just like French macaron colors. When you make a cup of tea or coffee in this cup, you will feel like you are just sitting down on an old terrace cafe in Paris. There is a smaller size for espresso as well, and there are many different colors. The price is so reasonable that it is perfect as gifts as well. This map describes how Paris used to be in 16th century. It is a perfect interior item to hang on walls adding an interesting and antique atmosphere. It is well wrapped in a plastic case so that you do not have to worry at all whether it is going to be folded while traveling. One of the most typical and indispensible souvenir, a postcard. Different from normal postcards from souvenir shops, you have a various choice of postcards which describes Paris well. From the design of Paris old map to eiffel tower, champs-elysees street, you can remember this beautiful Paris for a long time with their unique postcards. Just looking at the snow globes already makes you happier. 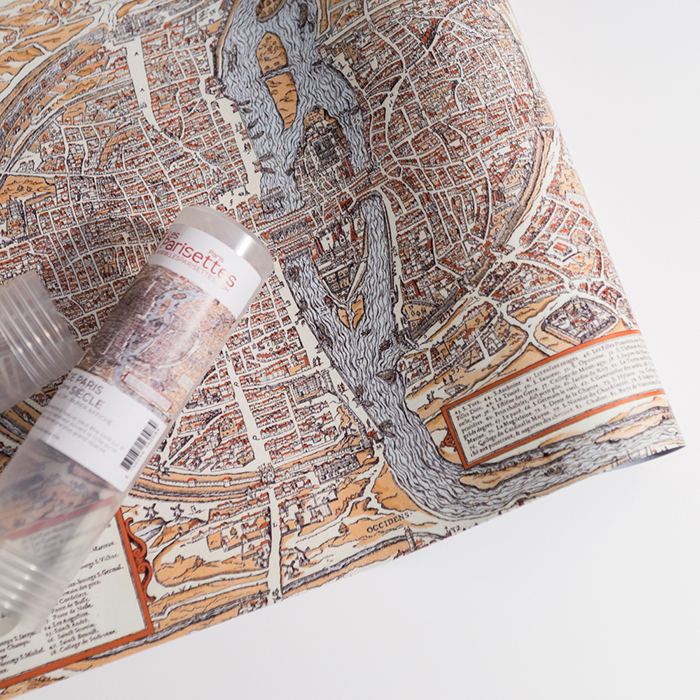 Their hand-made snow globes show off the delicate and unique design with Paris monuments in them. Prices vary ccording to the size and design. Cute trays, tin boxes, and cigarette cases. Lovely colors and designs attract you at once. 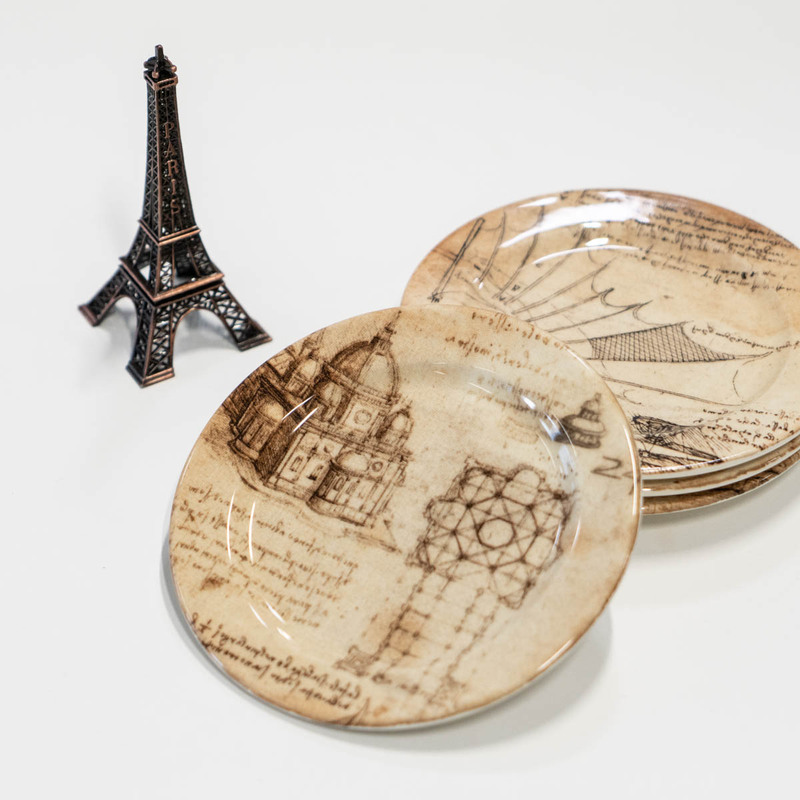 Designs vary from the artworks of famous painters to vintage style of Paris. This is one of the best selling products as a gift as it is light and practical. Vintage coasters and magnets with famous painters' masterpieces carved on them. Some of you might love to collect various magnets from all over Europe. These magnets are designed with elements of Paris' unique atmosphere. The coasters are applied vintage designs which will make your tea time happier than ever. You might say it is easy to get these herbs from supermarkets, but this can be a nice and unique souvenir too when it is in well designed tin box like this. These herbs can be practical when you make pastas, steaks, and salads. It will definitely make your kitchen more perfect. French soaps wrapped with vintage wrapping papers. From the lavender soaps from Provence to soaps with Paris elements on it, the soaps vary depending on your purpose. Right below the shelf of soaps, there are some other souvenirs directly from Provence, South France, as well. T-shirts specially made for babies with high quality fabrics. These are made in France not harming babies' skin. The size varies for from 3 months babies to children. There are many different designs and kinds of baby clothes from baby aprons, pyjamas, and daily clothes. 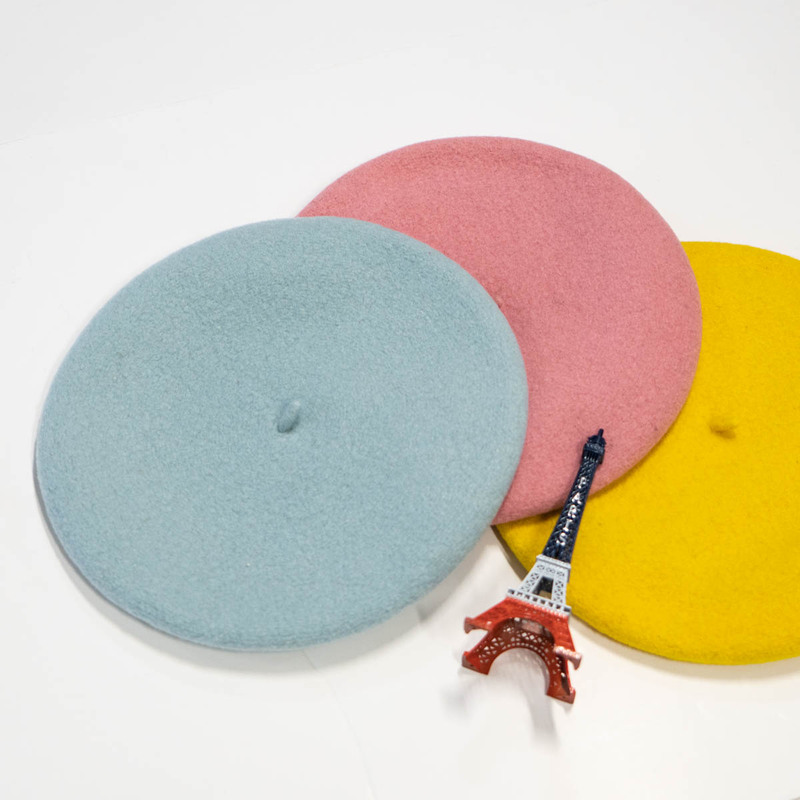 Same as berets for adults, berets for kids are also from Laulhere, a luxurious French beret brand with the best quality. Made for kids, the pastel colors make them even cuter. Kids can choose the color they want, and you can easily adjust the size. A famous French novel, The Little Prince. You do not want to miss this cute pouch with the little prince on it. Not only the pouches, but they also have the little prince collections for snow globes, little hoodies for babies, pencils, mugs, and tote bags. This pouch is one of the best selling products among the little prince collections due to its quality and practicality. You have all you need and all you want here at PARIS EST TOUJOURS PARIS to remember your travel longest than ever. 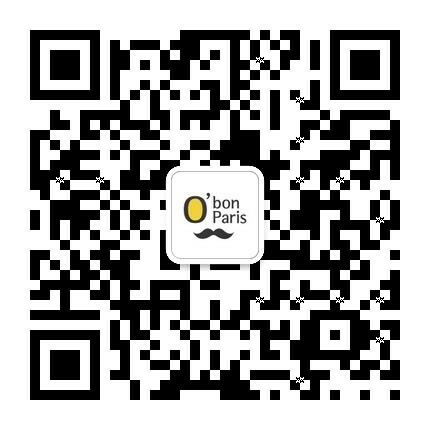 Do not forget to download O'Bon Paris' discount coupon to get a 10% discount on all the products at PARIS EST TOUJOURS PARIS.